Many Android users would have found this error 498 while downloading apps from the Google Play Store. This error message appears when you try to download a large size of apk files such as very cool graphics or any games etc. Error 498 means your device has not enough memory space to install new apps. One way to fix this error is to clear the cache memory to install the new apps. You can also download “Cache cleaner” apps from the Google pay store to easily clean up the space in your mobile phones. Some apps like Instagram, Skype, Line take up a huge memory space in your mobile phones. Thus, obviously you will be getting this Error 498. Another reason for getting this Error is Google Servers from where you try to download the apps will be under maintenance. Thus, when you get the Error similar to “Error 498 has occurred while communicating with the server” means that the server is busy and try to connect it after few minutes. So let’s now check on the steps to fix this Error 498. So, as mentioned earlier, the main reason for this Error 498 is “No space” in the device to store the new apps. So, first try to clear the cache by just navigating Settings->Application->Manage Applications->Select Google Play Store-> Clear Data and Clear Cache. Just try to clear the cache first and then try to download any game application from the Google Play store. If you are able to successfully install the app then you are done. Many times your Internet Service Provider(ISP) for Mobile creates some problem of Error 498 which means there can be Server communication problems. To avoid this error, you can better make use of Wi-Fi network to download the apps instead of depending on the Mobile internet. Just connect you Smartphone to your computer using USB cable. Try to download the app in your computer which you want to later install in your mobile. This will help you to get rid of this error. You need to create a new Play store account in order to fix this error. Go to Settings->Account->Add New Account->Click on Google->Next->Enter Email->Done. After settings up your email account try to download the app you want to check whether it is downloaded without any problem. When above methods don’t work, just go for this and this will definitely help you. 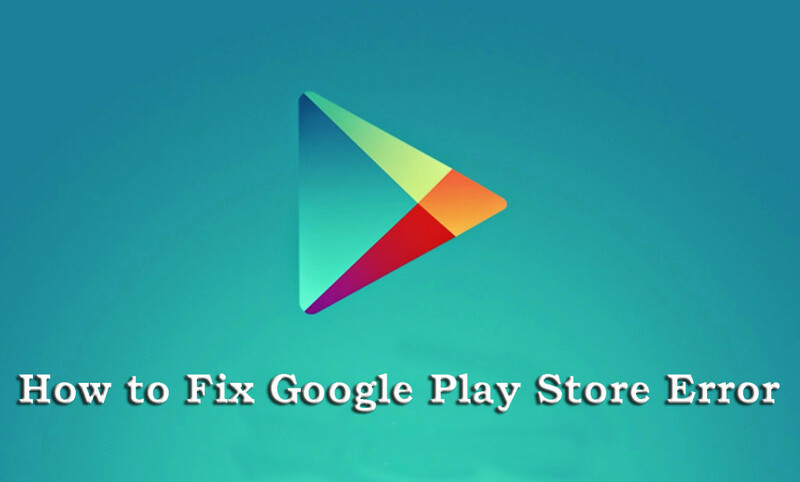 Try to uninstall and reinstall the Google play store in your Android mobile. This will fix the Error 498. Just go Settings->Accounts->Choose Account or add new account. Now try to install the app in your Android mobile using the new gmail account. Similar to this there are also other Google Play Store error like Error 491, Error 919, Error 413, Error 921, Error 403, Error 923, Error 492, and Error 927. Causes problems while downloading and Updating the apps. This Error can be fixed by just removing the current email account and resetting the same again. Next, go to Apps, and swipe to find all “All” of your apps. Scroll down to Google services, then click on Clear data and finally force stop. This error won’t allow to open the apps after downloading. To fix this, just clear the cache of your phone and you won’t be getting this error. This also causes similar problems in downloading and updates. In Settings, find Apps and then swipe to All. Scroll down to Google services and tap on the clear data and then force stop it. Do the same for the Google Play store app and clear the cache from your internet browser. Just like other errors this will also cause troubles while downloading. Try to restore your Google account in your Android device. The download is impossible and the request is “Forbidden”. This usually occurs when two Google accounts are used to buy applications from the Google Play store. Remove any one of the account to successfully install the app you are downloading. Downloading is impossible and error while syncing your Google account or insufficient cache memory. Remove your Google account for this and delete any useless applications that may take up space. Then, reboot your device in recovery mode. Select wipe cache partition and start your device as usual. This won’t delete any of your personal files. Next try to set up the Google account once again. It is impossible to install an application due to Dalvik Cache. Go to Settings->Apps-> and swipe all and scroll down to Google services. Here, select clear data and force stop. Do the same for the Google Play store. The download is impossible since the update of the Play store is in progress. For this, wait a few minutes until the Google play store is completely upgraded. Just try to be aware of these Errors while handling with Google Play store. Cross check these errors and the solutions to fix it while facing any of that. Thanks for this post,This is really good to make me know about how to fix the error of the google play store because of this I am unable to redeem the google play gift cards into my account that is gifted by my neighbour on my birthday. It is interesting to note that the errors are fixed for downloading large file sized mobile application. However, if you have created a play store account using gmail credentials, you may arrest maximum errors.